Buying a boat is a lot like buying a pair of shoes: you decide what type (dress or casual) and for what purpose (church or tennis). Then you go shopping to find a good fit. When they wear out or no longer fit, you’re ready for another pair. Although buying a boat is slightly more involved than buying a pair of shoes, mostly it’s a matter of asking yourself the right questions. When you have the answers, you’re well on your way to buying a boat that’s right for you. So let’s start with the questions. There are basically only two types of boats — power and sail. Most likely, the type you’ll want is based on your previous boating experiences. Perhaps your family had a lakeside cottage and you spent your summers either water skiing or tacking and gybing. If you enjoyed these activities, you may already have a preference for power or sail. 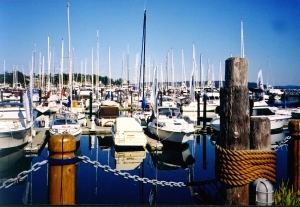 Or perhaps you have enjoyed chartering boats and now want to invest in a boat of your own. You’ll likely prefer the type you’ve been chartering. As a general rule, if you want to get from point A to point B as quickly as possible, buy a powerboat. If you want to get there eventually, buy a sailboat. You probably wouldn’t buy golf shoes to go jogging. Similarly, you wouldn’t buy a houseboat to go racing. To find the right boat for you, ask yourself: “what do I want to do with it?” Do you want it for fishing, cruising (sleeping aboard), day tripping, racing, water skiing, river running, sightseeing, or some combination? Do you want to go boating by yourself or with family and friends? Do you want to trailer your boat to various bodies of water or moor in one location? Size and construction are important when making your decision. Just as you require more rugged boots for hiking in the Rockies than in your local park, you require a larger and sturdier boat for coastal waters than for a small lake. However, if you’re a novice boater considering your first purchase, you should probably start small (under six meters) and go bigger as you gain experience. 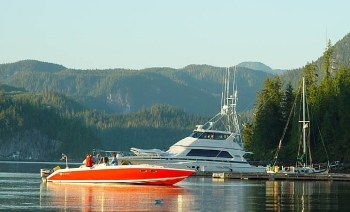 Smaller boats are less expensive to buy and maintain, yet they still allow you to determine whether you’ve chosen the proper boat for your recreational interests. If you want to buy a pair of shoes that look good and smell good, you’d better buy new, rather than used! The same applies when buying a boat — a new boat will look good and smell good when you take possession. You’ll also have less maintenance and more carefree boating for at least a year or two as warranties will cover most mechanical or structural problems. However, if you enjoy “messing about in boats” and you don’t want to spend top dollar, consider buying a used boat … you’ll have just as much fun, as long as everything works properly. 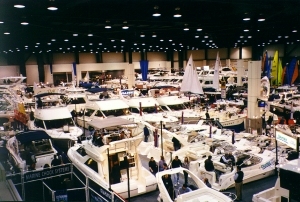 Both new and used boats for sale can be found in classified ads in newspapers and boating magazines, at boat shows and marine-supply stores, and on the internet (a Google search of “boats for sale” identifies about 144,000,000 websites). Obviously, you can’t look at every boat that might be suitable, but you can begin to get an idea of what’s available at what cost. If you don’t have time to do the research, a boat broker can help you locate the boat you’re wanting. Inquire to ensure that the broker is representing you, the buyer, rather than the seller. Have you ever put on a pair of new shoes and know immediately that you gotta have them? Same thing with boats. One day, you’ll find a boat that has “YOU” written all over it! You gotta have it. When that moment comes, you must ask yourself two questions: Can I afford this boat and is it a good buy? Your banker can help answer the first question, and a marine surveyor can help answer the second. A surveyor will conduct a detailed examination of the boat and advise you of its condition and market value. Buyer beware — you are responsible for having the boat surveyed and it is money well spent to do so, especially if the boat costs almost as much as your house. In addition, you may not be able to obtain insurance or financing without an acceptable survey. If you decide not to hire a surveyor, you’ll want to check out the boat yourself: the hull, fittings, engine, finish, everything, including the maintenance records. You’ll also want to take the boat for a test drive (sea trial) to see how it performs underway. Does the engine start easily, run smoothly and quietly? Does the boat maneuver well at both low and high speeds? Are the systems and instruments working properly? Does it make any strange sounds or vibrate excessively? How does it handle rough water and waves? Do you feel comfortable at the helm? It’s always a good idea to take a knowledgeable friend or family member along to get their impressions before you make a final decision. Try to leave a shoe store without the salesperson asking if you need some polish, leather preservative, or matching purse to go with your new shoes! Most likely, after you purchase your boat, you’ll need a few accessories. Do you have a Personal Flotation Device (PFD) for each person on board? How about a first aid kit, flashlight, hand-held compass, tool kit, signal flares, VHF marine radio, fish finder, GPS, updated charts, binoculars, a spare marine battery, and any bells and whistles that strike your fancy? But perhaps the most important accessory you’ll need is “knowledge” — knowing the right-of-way rules, how to dock and anchor, refueling precautions, how to handle adverse weather and deal with tides, currents, waves and various emergency situations that boaters encounter. If you haven’t done so, consider taking a boating course from a Coast Guard certified provider such as the Canadian Power & Sail Squadrons or Canadian Yachting Association. Just as you can never have too many shoes, you can never have too much boating knowledge — the more you acquire, the safer your boating experience will be. Enjoy your new boat … oh, and don’t forget deck shoes!